How would you like to start earning ten grand or more per month? This might sound like a lot of money. It might even sound out of reach to some people. But the truth is that this is actually not at all out of reach when you know how to design and implement digital marketing strategies effectively. If you are interested in (and passionate about) SEO and Digital Marketing, then it is possible that you have considered starting your own Digital Marketing Agency. A successful agency will generate a tremendous amount of business income and grow over time. But you have to know how to do it correctly. To start with, you have to get out of the ‘traditional salesman’ box. Cold calling, desperate elevator pitches, and digital spam don’t work anymore… and for good reason. People are tired of it. People have gotten smarter than that. 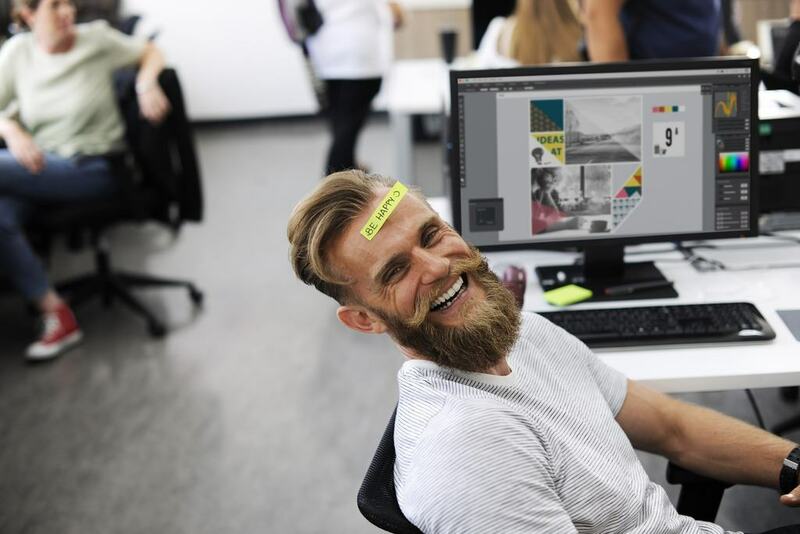 In fact, failure to adapt to modern-day marketing methods is a huge reason for why professional digital marketing agencies are in such high demand right now. And if you act quickly, you can jump in on the boom that is taking place as traditional advertising/sales methods begin to fail and fall by the wayside. Nowadays, ‘selling’ just isn’t enough. You have to earn trust, build loyalty, and develop a brand that transcends the traditional ‘buyer-seller’ metric. In short, you have to build a relationship. So how do you build this kind of relationship with your clients? And how do you grow your digital marketing agency over time? And perhaps even more importantly, how do you take your agency to the next level while avoiding falling into the same old-world tropes that failing digital marketing agencies all over the globe are getting sucked into? That is what we are going to discuss today. In this post, you are going to learn what you need to know to start selling your skills and services as a digital marketer to local business owners in your area. You need to get them excited about hiring you, and I can help with that. Why Start a Digital Marketing Agency? Are you ready to quit your job and become your own boss? If so, then starting a digital marketing agency may be the perfect option for you. You can generate serious revenue with this business, especially if you do it right. You will also find that your local area is likely a customer-rich environment. Businesses are desperately trying to adapt to new-world technology. But often, they just don’t understand how the game works. They know that almost every one of their customers is carrying around a smartphone, and that the internet has become the new hunting-ground for clients and consumers. Because of this, business owners are struggling to figure out how to use the internet as a tool to expand their business. Many businesses have already starting doing the ‘traditional’ online things. Design a website, advertise events online, market sales and/or products through an online store, supply an online shopping cart so that customers can make purchases from their own devices, etc. Businesses are also getting relatively good at sharing information about themselves online. They may upload menus, personalize their social networks, or even try their hand at blogging! But despite these well-meant attempts, most local businesses are still finding it difficult (if not impossible) to bring in traffic. The truth is that there is a reason for why their attempts are failing. But odds are also good that they simply do not understand how to fix it. But what if you do? What if you can fix the problem for them? You can help these businesses stand out, rank, and connect with customers online. And in doing so, you can also reap incredible financial rewards for your expertise. Truth is, most of the biggest full-time earners in internet marketing started right where you are now. They started by selling digital marketing services to local businesses. It’s how I got into the game! Selling your services locally is a simpler process because you have the home-field advantage. You, as a marketer, can meet with them face-to-face and represent yourself like a true professional. This will set you apart from overseas virtual assistants and spammy emails… but it will also give you the power to develop the skills that earn the most money. If you want to quit your job, be your own boss, and really help local businesses, this model will give you the tools and the skillsets to make it work. Make no mistake, getting started is hard work. But then again… getting to $10,000 a month doesn’t sound like such a bad gig, does it? Especially when considering that you don’t need to go to college or come up with a huge chunk of investment capital to get started! Mostly, you need to develop a different mindset toward marketing and business. And I can help you with that. Successfully starting any business requires commitment, hustle. and hard work. You have to accept the fact that overnight success isn’t real. But, you also have to understand that what you put into it will pay off over time. We’re talking months of hard work, especially if you’re bootstrapping and starting off without a team. But what about costs? What does it cost to start a digital marketing agency? That’s really it. Barring small miscellaneous costs, this is what it costs to start a digital marketing agency. The biggest cost, truth be told, is your time and effort. Many startups go wrong by focusing on the wrong things. They spend their time on things that they either don’t understand, or that simply don’t work. This makes them inefficient and ineffective. But I can show you how to avoid these common pitfalls. This will tell you exactly what you need to focus on. If you want to know what your critical priorities should be when starting a digital marketing agency, then this is the first video that you need to watch. The most important things to remember are to keep your mindset geared for success, and to keep putting in the work… every day! Business owners are bombarded with tons of email offers every day from people trying to sell them with “Hello Sir, I want to help you rank better in Google”... etc. They’re so overwhelmed with digital marketing ads that a lot of them think digital marketing is a scam! And to be honest, I don’t blame them. When you don’t understand it, yet are constantly being bombarded with spammy messages, it can start to look a lot like a gimmick. So what you have to do is change their perspective! There are two things you should know about the majority of business owners. First, many of them simply do not know what SEO is. And second, many of them understand the need to rank on Google, but do not quite understand how to do it effectively. But perhaps even more importantly, they do not know you. They might not even understand what you can do for them. But I can help you with this as well. You have to show potential clients that you can actually make a difference in their business. To sell digital marketing services, you have to take local business owners through four stages of digital marketing development. We call this the A.I.D.A. framework. It stands for: Attention, Interest, Desire, Action. This framework will help you to stand out. It will also make business owners want the services you have to offer. Once you understand this framework, you will understand one of the most fundamental principles of success as a digital marketing agency. The attention phase is not about focusing on sales. Answer this question. When you go into any business, what is the first thing you see? Businesses focus first on store appearance. They build beautiful displays, decorate with the right colors and lighting, and make the environment pleasing and impressive to the customers. They know that capturing customer attention leads to greater customer interest. Business owners need to achieve a similar effect online, but almost never understand how to do it correctly. And that is where you come in to help them succeed in their goals. Note: This might seem like a lot of information, but bear with me! These concepts are vital to understand if you want to start a successful digital marketing agency. Remember that $10,000-a-month payday we talked about earlier? The agencies making this much (and more) all understand how to build and implement this framework for their clients, right down to the minute detail. The good news, of course, is that you can do the exact same thing! That is why I’m here! So now, onto the important stuff. How do you take business owners through the A.I.D.A framework so that you can take them on as clients? Let’s get deeper into the framework to answer your question! There are basically 3 different options for how to proceed, and I am going to detail them below. You can choose 1, 2, or 3. They all have different levels of difficulty, and tend to help you in different ways. Eventually, you are going to want to make use of all 3. The main idea behind this option is to start marketing face-to-face. Get out there and introduce yourself to local business owners. Sit down with people and learn about them. Figure out what they do and what their goals are. Ask questions, find out what struggles they’re having, and ask them what they are doing to solve the issues. Join a networking group and get yourself connected with other business owners. The basic idea here is to start meeting people. Every business owner is a potential client. But you don’t want to start selling right now! Right now, you just want to start meeting people. This is a great way to get the word out about what services you offer and build face to face relationships. Relationship is the key word here! You are not a human sales machine. You are a human, connecting with other humans. This is vitally important! One thing that those spammy emailers can’t do that you can, is show up in person. Face to face, side by side... there is true power in this mindset! The basic idea behind this strategy is to go through the process of building traffic first, either for yourself or someone else… and then to use that process as an example to show businesses what you can do for them. You have to prove that you can actually help these businesses if you want to grab their attention. And the best way to do this is by showing them hard data and statistics from either your own affiliate marketing website, or from another client site that you’ve worked your marketing magic on. You could show them your WordPress site, your blog, your YouTube channel, or even something you’ve been growing on a social media platform. Show them the kind of growth you’ve been able to achieve, the amount of new traffic you’re getting, and the leads you’re generating. 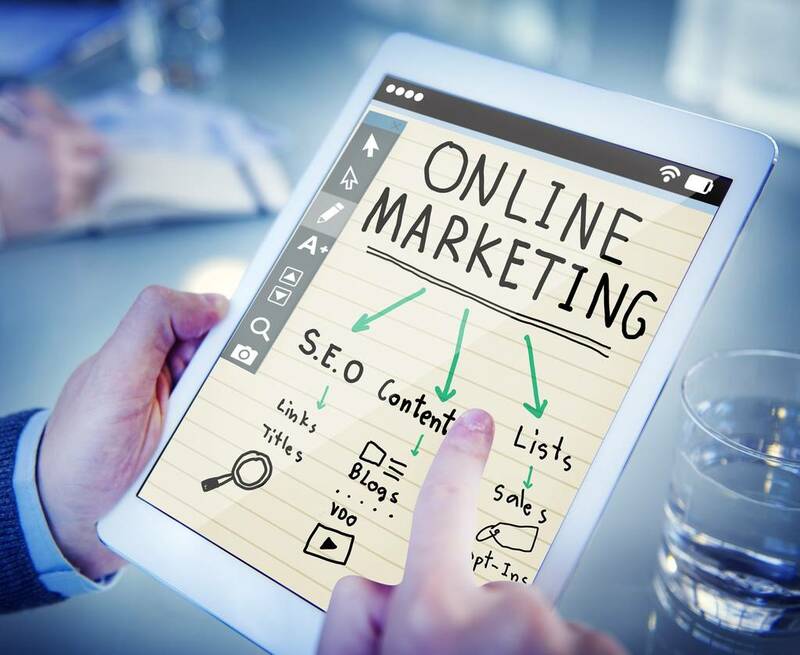 When a business owner realizes that it’s possible for them to get more customers through these digital marketing methods, you are definitely going to gain their attention. The idea behind this approach is to market online, usually using your own website and your social media sites as a platform for your agency. Build a site for your digital marketing agency. When local business owners are looking for a way to grow their business and you show up on the front page of Google, this is going to increase traffic and bring customers to you! How do you show up on the first page? With SEO of course. You already know this, but you also have to learn SEO and apply it to your own business and use your own tools to market yourself first. Use facebook ads and adwords. Put yourself out into the digital marketplace and let potential clients know what you can do for them. Building an attractive website is awesome, but this is only the beginning of the process. You also have to get your site ranking through SEO content so local business owners can find you. 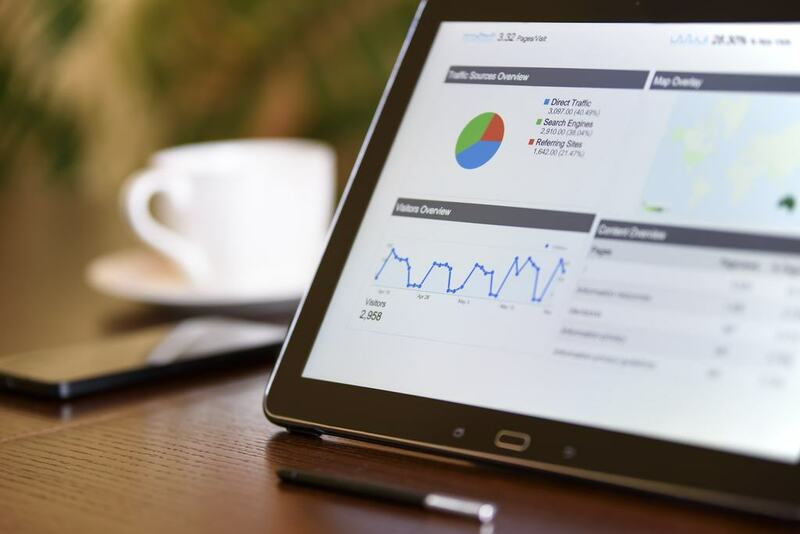 Generate high-quality, valuable content with tips that they can use, but also give them reasons for why they need digital marketing services as well. You can do this through blogs, videos, social media posts, etc. Anything that you can do to both help them and draw attention to yourself as a market leader. I focused on option #1 and #2 when I first started my agency. Option #3 is the heavy hitter, though. This is the option that can take your business national, or even global. This takes the most effort, but brings the biggest rewards. You must keep grinding and hustling, constantly learning and applying yourself to become the most effective digital marketing agency that you can be. As your knowledge and market influence grow, so will your profits. In this business, you are 100% in control of your success! But you have to step up and be willing to do the work. You might love what you do and have a passion for it, but you can’t attract clients by only sitting behind your computer and working on your website. Generating interest for your marketing agency will require you to get up and take action beyond your computer. Join a networking group, meet up with other local business owners, and expand your reach. You can also use social media to reach out, but do not neglect face-to-face interaction with potential clients! This is the magic ingredient you need to get off to a strong start! Nothing creates more interest than offering free services that will benefit your potential client’s business. And thankfully, there are a number of ways to give your customers value without spending a lot of money. You can, for example, host a meetup group that’s FREE for them. Check out meetup.com, and register to host a group. It only costs $10 a month, and Meetup markets your group for you! At each meetup, teach them one idea that will seriously help their business. They will love the advice, but they’ll also most likely need help implementing it. You can offer advice or assistance as a way to build-up the relationship and bring them even more value. Everything you do that makes your potential client’s life easier gets you just a little bit closer to closing a deal and gaining a customer. Teach the value of email marketing. This is still effective and is often their biggest asset. Go through a series on how they can generate customer leads to their business. Lead generation is a super desirable skill. When you prove that you know what you’re talking about, and let them know that these are the things you offer in your digital marketing business, the shift in attention will be apparent. They will want what you have to offer, because you are literally offering them easier money through an increase in customers and leads! Once they see the value in your strategies, they’ll want to know more! You’ve been building relationships, and have succeeded in gaining interest and desire. Now, you offer an entry level product. I lead with a cheap keyword research package. In this package, you explain the basics of keywords and how they impact visibility online. Define their top 20-40 keywords for them, and figure out which of these will get first-page ranking results. You can sell these packages at $49, $69, or even $99. They don’t actually even need to know what content marketing is at that point. They might be a bit confused by this process at first, but that is why they need you! Help them identify their business's most valuable real estate on Google. If they're not showing up on Google, they are definitely not getting the foot traffic that they could be getting. Everyone uses Google to search for local businesses. If they are not showing up, there is a 100% chance that they are losing business because of it! Then, you lay out information about ‘search volume per keyword’ for them. This is the percentage of people searching for keywords relevant to their business, and shows them the possible traffic they could be getting from each keyword that they’re ranking for. Boom! The light bulb is switched on, and they get that “Aha!” moment where they realize that this would not only get them serious traffic, but also money in their pocket! You also let them know that ranking today doesn’t mean what it used to mean. You never rank for eternity. Other businesses - even new ones - can dethrone their rankings and bump them down without notice. This is why businesses need a digital marketing agency, to help them with this process so that they don’t leave valuable leads, customers, and money on the table. Well, each business owner in your client pool needs to do the same thing for their customers! And since you know the formula and have the skills and confidence to implement it, you can offer them digital marketing services to help them crush their goals and put money in your own pocket at the same time! There are so many business owners out there that need digital marketing help. Of course, different skills are going to be more valuable than others to some business owners. Some strategies will differ from one-another. In this video you will learn what digital marketing skills you can that make the most money and how they are simple to sell. This is part of the art-form behind digital marketing. As a digital marketing agency, you will look at each business and figure out exactly how, in each instance, they can use digital marketing to reach their customer base and crush their goals. This is why you want to get to know potential clients and ask them questions about their business. You want to know what will help them. You want to know how to approach their unique goals and implement strategies that will allow them to dominate their marketplace! Can you crush social media marketing? From Pinterest, to Instagram marketing, to organic Facebook marketing, you can help potential clients gain attention and interest for their business using social media platforms. It takes a lot of time, and there are a lot of steps. But if you do it right, this process can generate a lot of leads for them. Of course, the entire point of social media marketing is to create interest. You want to get customers excited about what your clients have to offer. Social media is becoming so insanely popular that digital marketing agencies who know how to handle it can really make waves and draw attention. It just takes the right skills and mindset. If you can offer this as a service, you will have a tremendous amount of leverage and selling-power! Every local business needs a website. And right now, the best way to build those websites is with the WordPress marketing funnel. When the business’s new customers are brand or product aware, they Google the name of the business, product, or service that the business offers. This is typically how ‘motivated buyers’ find what they are looking for. But consider this… what is better for the business? Is it better to have the Facebook page populate to the Googler? If so, the customer will need to sign into Facebook to access the business’s information. If this happens, odds are good that they’ll get distracted with social media drama or cute cat videos! Or, is it better to have the business’s website show up on Google right from the beginning? This will cause the website to funnel web traffic, taking the customers where you want them. There are huge advantages to putting this together the correct way! Many business websites were built on closed marketing platforms that do not get indexed by Google. These websites are not working for the business the way they should. Website design services keep getting more and more expensive. Costs can range from $60-$150 an hour! What do you make per hour right now? The average U.S. wage is in the low 20’s per hour. When you sell website design services at $27-$37 an hour, you end up making far more than average. Plus, you’ll already find yourself half-way to that 10k a month figure when you put in a full 40 hours a week! This is the pure-hustle plan I adopted to begin my new life, living as my own boss. Using this technique, I broke free from my J.O.B. I call it marketing arbitrage. Eventually, you will learn to sell the work, and then outsource the work to cheap virtual assistants. You take up the mantle of manger, overseeing quality control and making that sweet in-the-middle-money as pure profit! But how does that get us to that elusive 10k number I keep referencing? You sell 80 hours of website building work per week at $27 an hour. Next, you outsource it at $6 an hour. Bam! Now, you are at a profit of $52 an hour. That alone gets you to 10k a month! Do you think local businesses would pay half of what typical website design companies charge to buy website design services from someone they know and trust in their local community? Someone they can call on the phone, or meet with face-to-face? The answer is DEFINITELY! With this model, you are offering TREMENDOUS value at a price that BIG FIRMS CANNOT COMPETE WITH! It then becomes a simple matter to move these website projects into the next phase of digital marketing, to help them gain traction in Google queries for more than just their business name. If your client already has potential customers in the area who have a firm desire for what they have to offer, then local marketing can be the key to bringing in a ton of new foot traffic. In this case, your job is simple… you need to make customers aware of the business and that it offers something they need. Say, for example, that a business owner is selling wedding dresses. Now suppose that someone in the local area is searching online for a place to pick out a wedding dress. This is where local digital marketing is crucial. The customer is already searching online with a desire to buy. In such a case, the business with the best digital presence is probably going to make the sale. This is where you can come in and help businesses with SEO marketing. If these businesses show up online through SEO, then you’re creating an avenue for their potential customers to take action. If the searcher finds this local business because you knew what keywords their customers are searching for, and because you applied this knowledge through a well-constructed SEO and content marketing strategy, then boom… your client is going to make the sale. 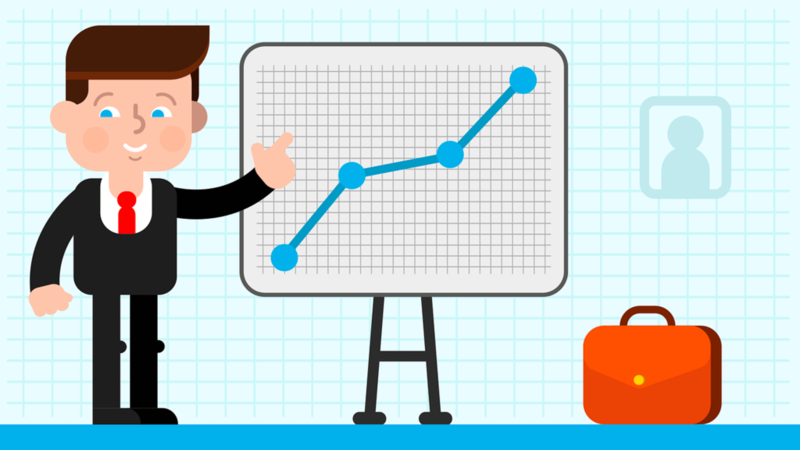 That’s how a successful SEO strategy, crafted by your business, works. It happens every day, and every business has the potential to do better. That’s why they desperately need you! Offering your skills as a digital marketer is highly valuable to any business owner who wants to draw in more customers. This is where the money really comes in, because you’re not just trying to attract customers for a business owner. You’re getting people to take action. Successful copywriting is how you get people to subscribe, download, or buy whatever ‘widget’ or ‘service’ your client-business is offering through your awesome Adwords or Facebook advertising campaign. As a copywriter, you will have the ability to create killer optin pages and sales funnels that will grow your client’s revenue. This will make your customers happy and keep your agency on top. But… it will also allow you to grow your personal digital marketing agency at the same time. If you can learn how to be a successful and dynamic copywriter, then you’ll have the ability to effectively grow other people’s businesses through YOUR services. How do You Start a Digital Marketing Agency You Can Scale? It takes time to build an online marketing business. It requires patience and consistency. It also requires hard work. But if you want to reach that big-money goal, you have to put in the big-money hustle! This is where a lot of marketers actually fail! Follow the A.I.D.A framework to bring in clients on your own, and start slowly (but surely) growing your digital marketing agency! Choose one service to offer to start with. In a sense, you almost want to go backwards through the second part of this article so that you can plan ahead. Here are the steps. Step 1… Choose an Agency Model Starting Point. Facebook/social media marketing, building websites, or an SEO agency are all awesome first steps. Starting an advertising agency is the most difficult to dial in and do successfully, that is why they can charge more, grow into it instead of launch with it. 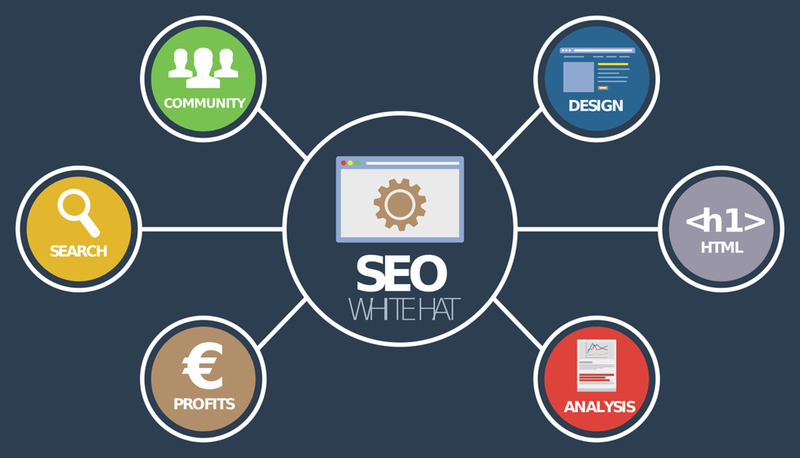 With SEO, even if you are just starting out, you will have more leg-room because of the time-gap. Once you start working on SEO, even small positive changes will help your clients… but you will quickly start a ‘snowball’ effect as you learn, grow, and continue adding content. On average, it takes at least 9 months to see real, positive changes with SEO… so you will have time to perfect your craft as you help your first clients, tell them this up-front. Choose one and specialize in it right away. That is your starting point. This would be an inexpensive, small step for businesses to take before you pitch them your ‘starter’ product (keyword package, social media optimization, website audit, etc.). The purpose of this product would be to grow trust, build relationships, showcase your skillset, and get them comfortable with handing money over to you… even if that amount of money is very small! Step 3… Get Attention on You! In this step, you choose one of the 3 options listed under the ‘Get Attention’ portion we discussed earlier, and focus on it. Remember… eventually you will conquer all three, but for now, you are going to focus and specialize to get the ball rolling! Learn how to identify ‘marketing weak points’ in local businesses. Show the owners how to address and correct these issues in your free Meetup classes so that you can gain local attention and make business owners aware that YOU are the person who can solve their problems! Step 4… Don’t overthink it. Just do it! Everyone starts as a sole-proprietor at first. You don’t need an LLC, you don’t need a website that ranks number 1 for SEO in your town, you don’t need a team, you don’t need a Facebook page with 1k likes, or even a blog with 10,000 visits a day! You just need to hustle and connect with local businesses. After this, you build up that relationship and offer them cheap, yet valuable products to help them out! This is how you build a digital marketing agency for very little money out of your pocket. This is how you gain clients and reach your 10k dollar-per-month goal! Don’t be just another desperate salesman. Provide real value and build real relationships! Amazing things happen when you do it this way. This is the tried-and-true formula. These are the fundamental elements that will literally make… or break… your success. I hope this post helps you! Let me know in the comments if you’ve got questions or if you need a few more tips. My goal is to help you build and craft a successful lifestyle business! Influencer Marketing - A Fad Or The Future Of Marketing? Cheers Buddy… Know that I'm more than taken care of. Thank you! what is Local Networking Group Subscriptions aside from meetup? Chamber of Commerce, BNI, Toastmasters, entrepreneurs organization, Rotary club, Lions Club, etc. Thanks for sharing this amazing content. 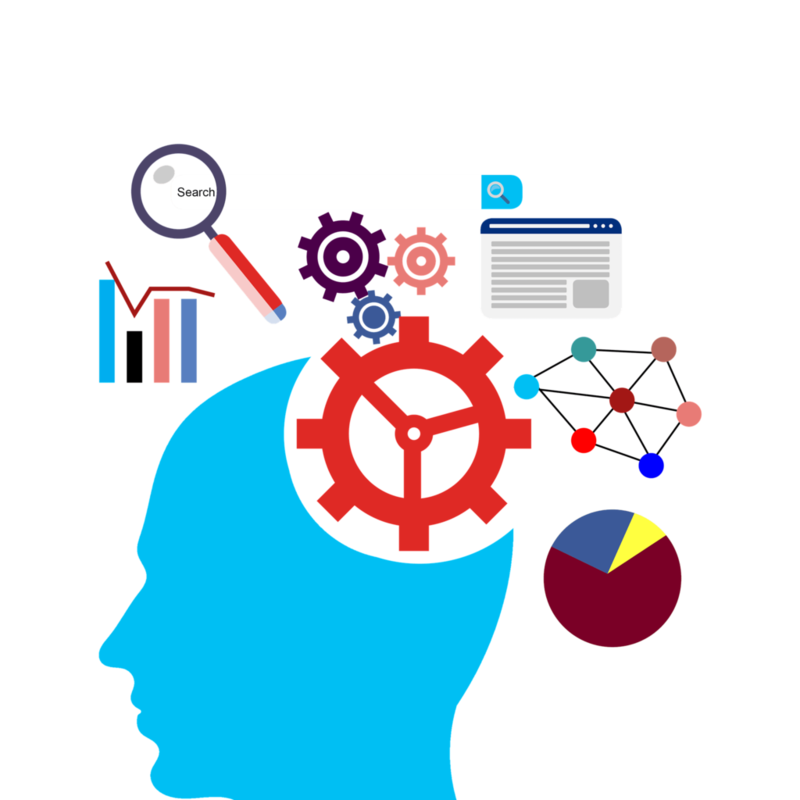 Your content will help those who are thinking of starting a new Digital Marketing Agency. They should be aware of the perfect strategy and planning needed for starting a company. I also face these issues when I was about to start my own Digital marketing agency. and now it`s been two years my agency is doing pretty good. Thanks for providing this content. I really appreciate and recommend this blog to those who are about to start their Digital Marketing Agency.